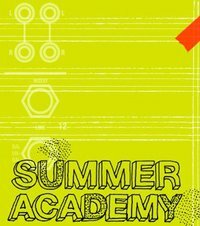 For the very first time, Nadar will organize an intensive Summer Academy from 22nd -26th August 2011 in Sint Niklaas (Belgium), in collaboration with the Matrix Centre for New Music. Members of the ensemble will coach performers and composers from 14 to 20 years in playing and creating new music. Besides being coached when performing contemporary music on their instrument, every participant will get an introductory workshop on electronics and improvised music and will learn how to play other instruments such as balloons, matches, megaphones etc. Composers will be coached by Nadar’s composers-in-residence Daan Janssens and Stefan Prins. The compositions made by the student composers can be performed by the instrumental students and/or members of the ensemble during the final concert. Furthermore, the most engaging groups or performers ‘will be offered a concert during the annual “What’s next festival” in Brussels in October.